Gray was a member of North High's class of June, 1960. While attending North High, Gray's next of kin are listed as Mr. and Mrs. Charles Warren, 4015 41st Street, Des Moines, IA. 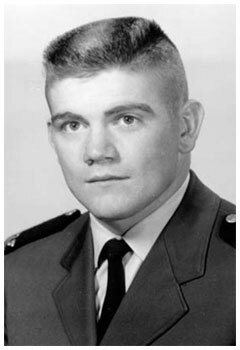 After graduation, he attended the US Air Force Academy in Colorado Springs, CO, graduating in 1965.  At the time of death, Gray was married. His service number was 482504529. Gray's name is listed on the Vietnam Wall in Washington, D.C. on Panel 17W, Line 122. June, 1960 Graduated Graduated from North High School, Des Moines, IA. "Both men (also Captain Bynum) were classified as Missing in Action. During an annual review of their status, the review board found no evidence that either man escaped the aircraft and now-Major Gray Warren was reclassified as Killed in Action on 26 Oct 1969, Body not Recovered. Now-Captain Bynum was continued in MIA status until 13 May 1976, when the Secretary of the Air Force approved a Presumptive Finding of Death changing his status to Died while Missing/Body not Recovered." When North Vietnam began to increase their military strength in South Vietnam, they intruded on neutral Laos for sanctuary, just as they had done years before during the war with the French. Just inside the Laotian border along the length of the southern part of North Vietnam and the northern and central part of South Vietnam, North Vietnam had constructed and maintained a roadway. The roadway was called the "Ho Chi Minh Trail", and it was used to transport troops, weapons, supplies, and equipment from North Vietnam to South Vietnam to fight the war. The border between Laos and North Vietnam has a mountain range separating the two countries. For the North Vietnamese to get troops and supplies onto the Ho Chi Minh Trail, they had to cross from North Vietnam into Laos through three main mountain passes, the Mu Gia, Bartholemy, and Ban Karai. As the war escalated, the North Vietnamese established substantial missile sites at these passes to try to stop US planes from attacking the convoys going through the passes toward the Ho Chi Minh Trail. The passes were also frequently used by US fighters as they flew from Thailand to Vietnam on bombing missions. 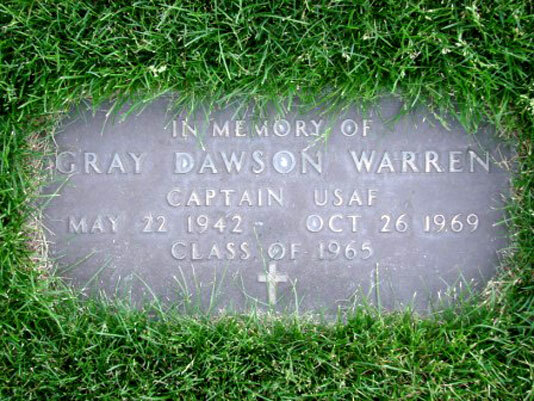 Captain Gray Dawson Warren's service in Vietnam started on October 26, 1969. He was assigned to the 435th Tactical Fighter Squadron at Ubon RTAFB, Thailand (Royal Thai Air Force Base, Thailand). That same day, Gray and First Lieutenant Neil S. Bynam were in an F-4D Phamtom (tail number 65-0751), call sign WOLF05) on a forward air control mission over Khammouane Province, Laos, along the Ho Chi Minh Trail near the Ban Karai Pass. During this mission, they located construction equipment, including a bulldozer, on a road about 15 miles west of the DMZ, near the village of Ban Son. They made two passes over the bulldozer. On the third pass, a low angle pass, they hit the bulldozer with a pod of high explosive 5" Zuni rockets, destroying the bulldozer. After they fired their rockets, Gray's plane failed to pull up, and the plane impacted the ground approximately 100 meters upslope from the bulldozer. The plane exploded on impact, scattering wreckage over a 400 meter area. The coordinates of the crash are XE212041. Other forward air control aircraft in the area witnessed the attack on the bulldozer and the impact of Gray's plane. Those aircraft immediately initiated search and rescue operations. Although no enemy fire had been encountered before Gray's plane attacked the bulldozer, the other forward air control aircraft received small arms and 37mm antiaircraft fire. 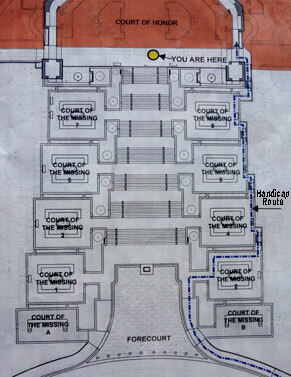 After two hours, with no visual signs of survivors, the search was terminated. Both Gray and First Lieutenant Neil Stanley Bynum (rank changed to Captain during the period he was classified as Missing) were intially classified as Missing in Action. During an annual review of their status, the view board did not find any evidence that either man escaped the aircraft, and Gray Warren was reclassified as Killed in Action on October 26, 1969. His body was not recovered. NOTE: Records obtained by the North High Class of 1960 obituary historian indicate Gray's remains are interred at the US Air Force Academy Cemetery in Colorado Springs, CO. He lies in Section MEM, Row K, Plot 008. On 26 October 1969, Capt. Gray D. Warren, pilot and 1st Lt. Neil S. Bynum, co-pilot; comprised the crew of an F4D, call sign "Wolf 05," that departed Ubon Airfield, Thailand on an armed Forward Air Controller (FAC) mission near the Ban Karai Pass. 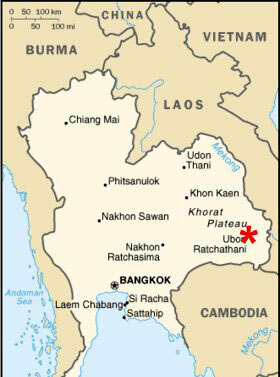 This area of eastern Laos was considered a major gateway into the infamous Ho Chi Minh Trail. When North Vietnam began to increase its military strength in South Vietnam, NVA and Viet Cong troops again intruded on neutral Laos for sanctuary, as the Viet Minh had done during the war with the French some years before. This border road was used by the Communists to transport weapons, supplies and troops from North Vietnam into South Vietnam, and was frequently no more than a path cut through the jungle covered mountains. US forces used all assets available to them to stop this flow of men and supplies from moving south into the war zone. (2) The comprehensive list of names from North High's 1893-2018 graduation classes are from Claradell Shedd's North Des Moines High School website. The names of North High School graduates can be found online at: http://www.ndmhs.com/. Gray Dawson Warren's 1960 class page is: http://www.ndmhs.com/pages/yearclass1960(2010.50).html. Deceased: Died: KIA; October 26, 1969.